The federal government of British Columbia has given the proposed LNG project a go sign, and it has got the whole province excited because of all the benefits the project will offer to the economy! For instance, Fort St. John can surely take advantage of the job and real estate opportunities the project will bring along. The LNG project (liquefied natural gas) is a partnership between five industry giants; Mitsubishi Corp., the Malaysia-owned Petronas, PetroChina Co., Korean Gas Corp., and Royal Dutch Shell. The project is focused in Kitimat, B.C., and already, a work camp has started to take shape there. According to local residents, the camp is evidence that LNG Canada will work under Royal Dutch Shell PLC and start working on the construction of the terminal that is responsible for cooling down the natural gas into its liquid form. This cool form termed LNG will then be shipped to various countries in Asia that need fuel to produce energy. The work camp will be looked over by Bird Construction Inc. and Civeo Corp. and has been named the Cedar Valley Lodge. LNG Canada agrees that the terminal needs to be constructed using LNG modules that are imported from abroad. Plus, once federal agencies endorse the idea, then LNG Canada would also be able to avoid substantial tariffs. At the same time, the Liberal government also agrees that domestic suppliers won’t be able to handle the huge need of LNG modules. The Finance Ministry, however, is still waiting for the Federal Court of Appeal to make a ruling on the traffic. Once the ruling comes then, the Finance Ministry can decide on relieving companies from the tax duties on fabricated industrial steel components needed for the LNG modules that go up to 10 storeys tall. The B.C. LNG project has been budgeted at $40 billion. The project will not only involve a pipeline running for more than 670 kilometers; it will include an export terminal too. TransCanada Corp plans to construct the pipeline which will run from Dawson Creek in British Columbia to the coast of Kitimat where the new processing plant is strategically placed. The pipeline will transport the natural gas to the plant in at Kitimat’s coast where it will be first liquefied before it is shipped off. As a result of this project, numerous job opportunities will arise and not only in Kitimat but in Fort St. John too. For instance, only the construction of the terminal would need around 4,500 workers and that too just during the construction phase. The figure does include the workers needed for technical tasks like assembling the LNG modules that will be imported from China. However, more workers will be needed for the other phases as well. Similarly, TransCanada will also need workers for its 4.8-billion proposed LNG GasLink route. It is estimated that roughly 2000 workers will be needed for the gas route. As job opportunities start to increase, more people are expected to move to B.C. which means that all cities including Fort St. John will have more real estate opportunities. Workers will need to be settled in until the end of the project and properties will be required for those who will be employed full-time once the project is set up. Therefore, one can expect numerous real estate opportunities once the project starts. In Kitimat, the city which the center of the project, pro-LNG rallies have been scheduled and the enthusiasm and hope of the local residents has spread throughout British Columbia. In fact, it is believed that the construction of the project would result in an impressive boost to the economy of the entire British Columbia which means even cities like Vancouver and Fort St. John would get to enjoy some benefits. In a statement, Shell Canada commented that the consortium would definitely come up with the FID (final investment decision) by the year’s end. Of course, the exact date only depends on the joint ventures participating in the FID to make a decision based on the affordability and competitiveness of the project and the global energy markets. In the spring of the previous year, the B.C. NDP government had announced a new LNG tax package. The purpose of this package was to attract more investors of LNG Canada so that the project could be given the green light. 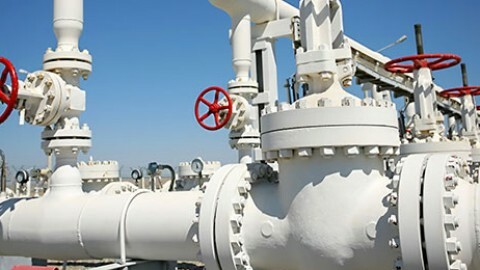 The government also stated that the tax package hoped to bring more attention to the development of natural gas. LNG Canada could get to enjoy an estimated $6 billion in tax breaks and would also be able to get relief from provincial sales tax. LNG Canada could also get to enjoy the elimination of the LNG income tax and their preferred industrial electricity rates. The ministries of Finance and Energy of British Columbia state that the project is estimated to generate a direct government revenue of $22 billion in the next forty years. Moreover, it is estimated that the LNG Canada project would employ roughly 10,000 people during the construction and will be able to offer more than 900 full-time jobs. LNG Canada already at work! The CEO of LNG Canada, Andy Calitz, announced that the company has gotten all the approvals needed from Department of Fisheries and Oceans, 25 First Nations, National Energy Board, and BC Hydro. Plus, the construction of the plant and pipeline has already started. 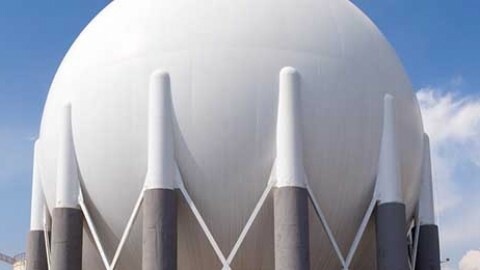 Information given by British Columbia also makes it clear that LNG is a large LNG facility; however, it is the least greenhouse gas intensive as compared to the other LNG facilities of the world.